High quality resale shop providing funding to the only Attorney General certified shelter for victims of domestic violence, sexual assault, and stalking in Oklahoma County. 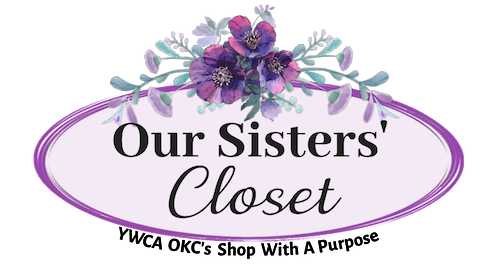 Our Sisters' Closet provides a sustainable source of revenue for YWCA Oklahoma City's programs for victims of domestic violence, sexual assault and stalking in Oklahoma County. From business attire and baby clothes to housewares and handbags we have the name brands you want at great prices. Find out about YWCA Oklahoma City's mission, services, and the results of our decades of advocacy. Ready to take the next step? Become a supporter and help us provide hope for victims in our community.